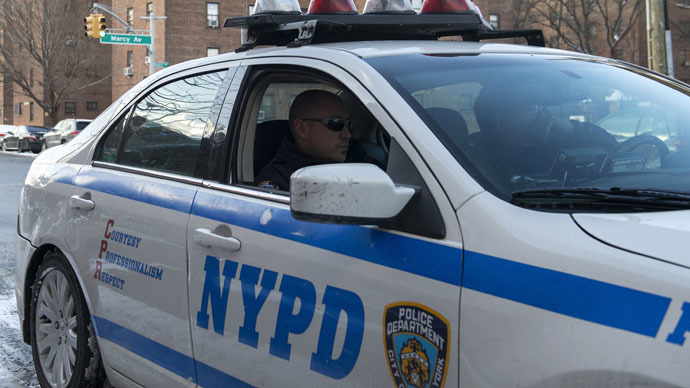 A new analysis of New York Police Department activity shows that the amount of summonses issued and arrests made throughout the city last week increased following a steep decline of enforcement in the latter half of December. According to the New York Daily News, the latest NYPD summons and arrest figures indicate the “slowdown” – much of it portrayed as a political protest against New York City Mayor Bill de Blasio over his sympathetic comments towards police-brutality protesters – has at least waned, as the 4,690 arrests made from Jan. 5 to Jan. 11 are down only 38 percent from the 7,508 arrests made in the corresponding week last year. That 38 percent dip is an improvement from more dramatic drops in late December. For instance, overall arrests for the week of Dec. 22 were down 66 percent compared with the same period in 2013, according to statistics cited by the New York Post. The reduced policing stems, according to reports, from both fear -- unions ordered that two patrol cars must respond to every call -- and animosity between Mayor de Blasio and police unions following the fatal shooting of two NYPD officers. Adding to tensions was fallout from a grand jury’s decision not to indict a white NYPD officer, Daniel Pantaleo, who was captured on video killing an unarmed black man, Eric Garner, with a chokehold for illegally selling cigarettes in Staten Island. On Dec. 20, the day NYPD officers Rafael Ramos and Wenjian Liu were fatally shot by gunman Ismaaiyl Brinsley in Brooklyn, the Patrolmen’s Benevolent Association, a top police union in the city, purportedly sent out a mass memo telling officers to take safety first and that "absolutely NO enforcement action in the form of arrests and or summonses is to be taken unless absolutely necessary." Meanwhile, the New York Post reported over the weekend that NYPD police precincts had been ordered to boost arrest and summons quotas or face punishment. “Police officers around the city are now threatened with transfers, no vacation time and sick time unless they write summonses …. This is the same practice that caused officers to be labeled racist and abusers of power,” said a police union rep, according to the Post. Yet, as the Daily News’ analysis pointed out, low-level policing was declining even before the fatal shooting of Ramos and Liu and around the time of the Staten Island grand jury decision. The week of the grand jury decision, Dec. 1 through Dec. 7, citywide arrests and summonses dropped by 55 percent compared to the same period in 2013. And, “from Dec. 8 through Dec. 14, the number of Criminal Court summonses declined 37% when compared to the previous year, while parking tickets fell 34% and arrests fell 20%,” the Daily News reported. Some theorize that police coverage of widespread demonstrations following the grand jury decision led to a wary police force. Journalist Matt Taibbi told RT last week that the slowdown demonstrates how police officers -- and NYPD’s ‘broken windows’ style of policing -- are used to make up for tax shortfalls with ticket and citation revenue. Yet, according to Bratton, lower crime figures were a result of police policies like broken windows, not because of the ineffectiveness of the programs.